If you are anything like me, you process your anxiety by obsessing; when it comes to taking doctoral exams, this may mean obsessively googling and asking profs or fellow grad students for advice. If this is you, look no further! I’ve done the obsessing for you! I compiled a list of advice given to me, suggestions for note taking, and advice from across the internet for my own peace of mind while studying; if you have similar exam panic, hopefully this will help. Most importantly, know yourself, particularly your learning style. Questions to ask yourself: do you think better when writing longhand or typing? Do you retain information better when you re-write/retype? Or listening/reading it out loud? How do you best visualize information? One professor made her notes for the history of feminist theory into a timeline represented by post-its circling the walls of her apartment. What system of organization helps you best process information? Chronological organization for your reading schedule is perhaps the most obvious, and it may be the most useful for you, but consider other options. For instance, organize your reading by topic; read all of the works on animality together, all of the works on domesticity together, etc. 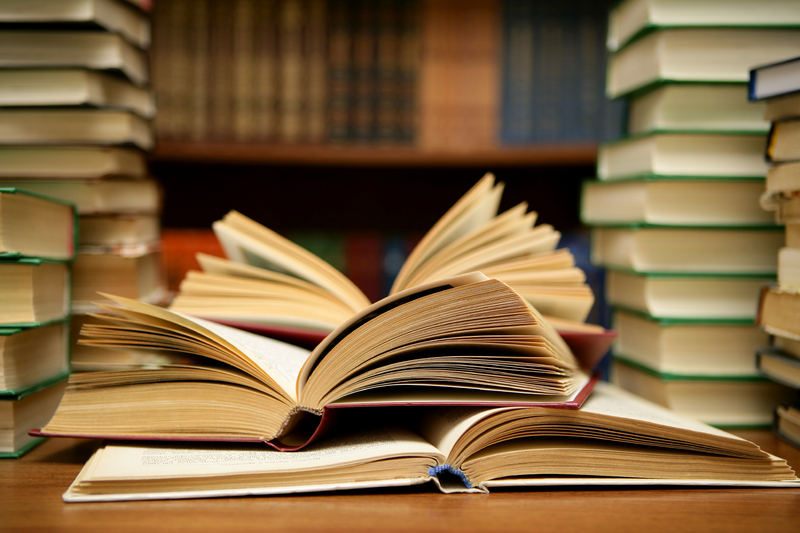 Read relevant critical or theoretical works alongside the primary texts. Alternatively, save critical texts for the end, to act as a review. While you read about the scholar’s argument, you’ll also get a helpful reminder of the plot and important ideas about the primary text. Also consider your process. For me, the important question was how to take my notes. The most frequent advice was to take careful, thorough notes, or at least to the extent to which you are able without going insane. 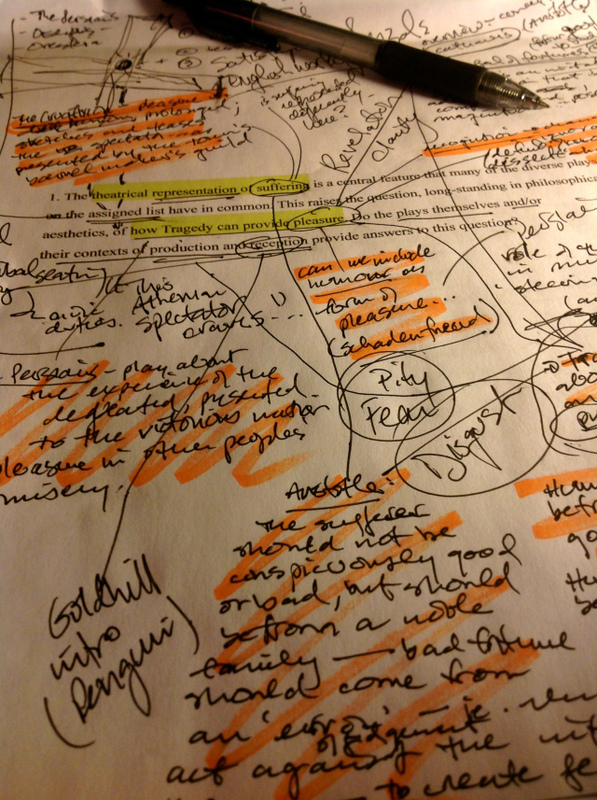 One professor told me that she still refers to her exam notes regularly to inform her teaching or her writing. Several grad students also emphasized taking detailed notes during your meetings with committee members. They found these notes to be most helpful, particularly because questions for the exam often are formed from these discussions. Then what you do with these notes to review is important. One person told me that she found it enormously useful to handwrite her notes, then type them out, and finally reread her notes and highlight the most important points. For others, try talking through your ideas with a colleague. Before the exam, imagine potential questions, how you might answer them, and which texts to use in support. In other words, synthesizing how texts might work together to illustrate an argument is incredibly beneficial. 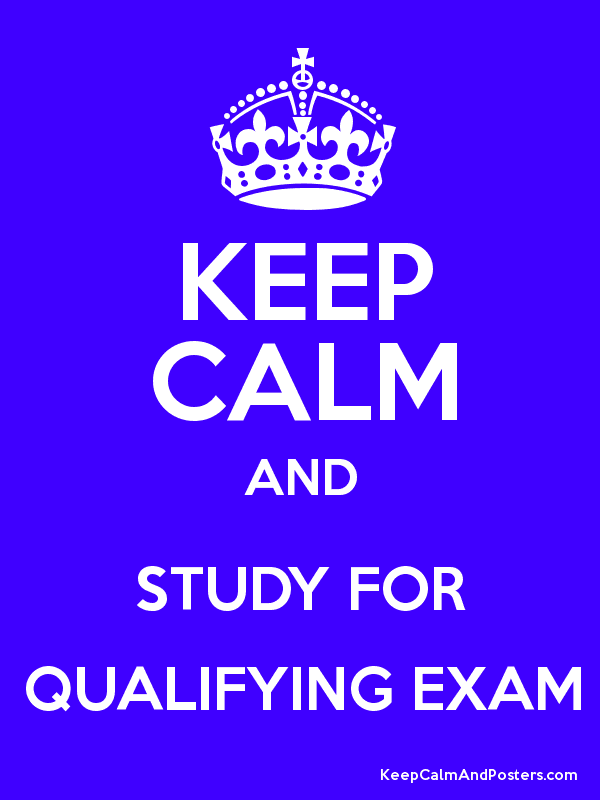 Plus, it’s practice for the oral exam! This study period is essential for a lot of people. They recommend saving between a few days and a few weeks (depending on your schedule) to just study, review, and synthesize, in whatever method best suits you. Credit for these pieces of advice goes to Dr. Jenna Lay, Dr. Michael Kramp, Dr. Colleen Martell, Laura Kremmel, Emily Shreve, Jenny Hyest, Katie Burton, and Rachel Heffner. Thanks so much to each of you! Since my craving for exam advice is insatiable, please also share any thoughts/suggestions/advice that you have below! The NASSR story LK linked to is helpful in that it also mentions something that’s hard to keep a handle on: enjoy it! Reading for exams was–for me–kind of fun. That’s also something to keep in mind and to (try to) celebrate. Yes! I think that is so important! As difficult and exhausting as the exam process was, I thoroughly enjoyed it. I think that’s important not only for your own sanity, but because that kind of thing will show through when you actually take your exams, particularly during the oral portion. I think it helps you think on your feet more! That is definitely important, as evidenced by how often I forget it, haha! Thanks for the reminder!